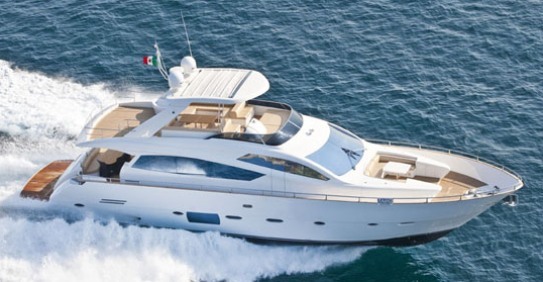 Abacus the yard of Gino Pagliano located in Italy on the island of Sicily, Messina continues to propose new interesting motor yachts, and after launching its entry level 54, and flagship 86 models now presents its second large 78. This new Abacus designed as all the range by renowned marine designer Fulvio De Simoni represents an important size for the market which makes it practical for owner use, and also just short of what is often described a super yacht. Similar lines to the 86 flagship with a hard top on the flybridge are the design hall marks of the new 78. But interesting details are to be found in the 78 like the single floor main deck which leads from the relaxing saloon located astern to the, separate galley, dining area, and helm located to fore. A spacious four cabin lower deck, with a full beam mid ship owners stateroom, and spacious VIP suite to fore. Interestingly hull one also featured special designer elements and hardware from Cassini sofas designed by Pierre Lassini, Caprice chairs by Philipp Starck, Donati for unique upholsters, Gagenau for home appliances, Glass Design for crystal door handles and bathroom taps, and Dedar for hand made leather roof panels. Power is from twin MAN 1550hp which give a 33 knots max, and 28 of cruise.